Welcome to the official Event blog for the Playground Winter Festival 2015 ! 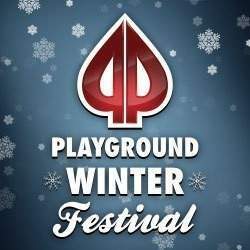 This Event blog is a central hub where you can get event information, photos, tournament updates and other material and follow the entire Playground Winter Festival 2015 from beginning to end. Event 13 of the Playground Winter Festival was a $150 + $15 NL Hold’em 6-Max event that began on March 9th, 2015 at Playground Poker Club. The event attracted a total of 121 players, which generated a prize pool of $17,605.00. This prize pool was distributed according to the following table. Two simultaneous eliminations occurred just before the final table, and so the official final table will begin with only 6 players left! Congratulations!